The Player is able to play MP3/WAV/Midi sound track on SD card. 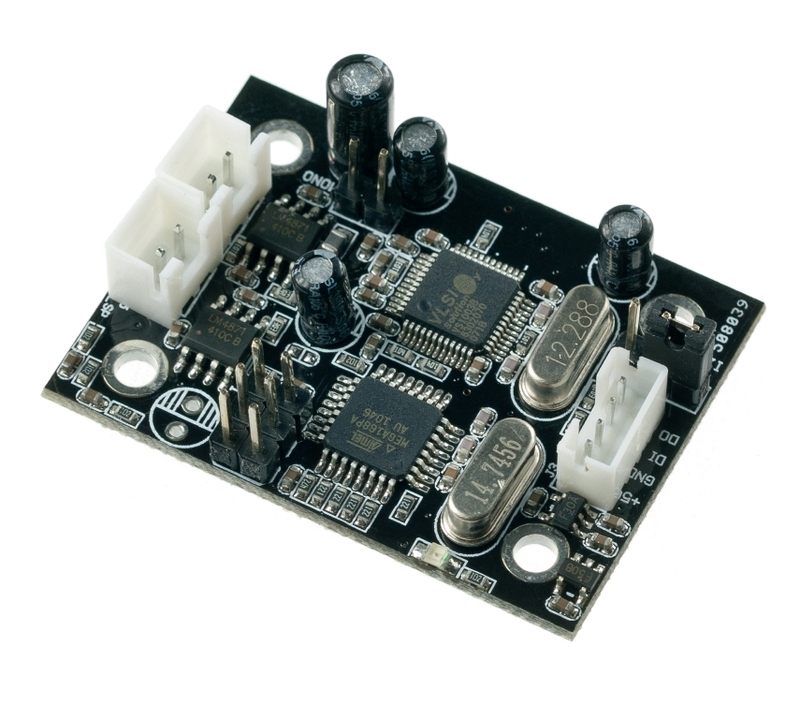 It supports two interface UART/I2C which lets other microcontroller to talk to the player. 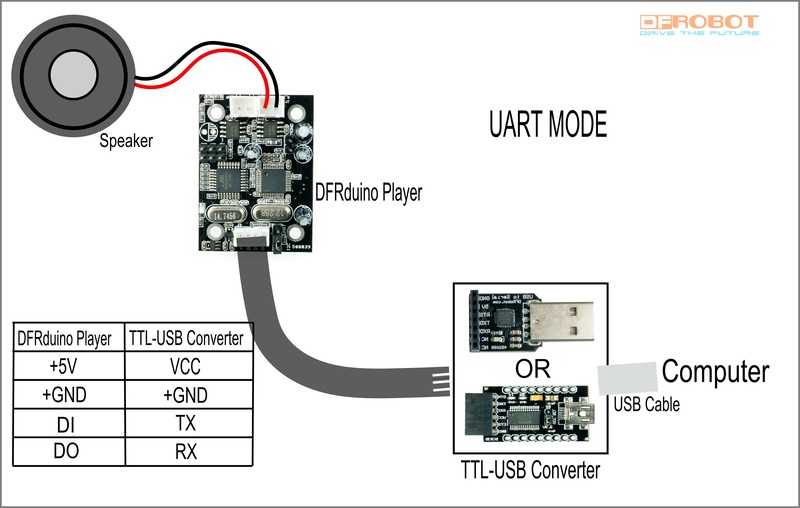 The player support both I2C and UART interface (via jumper). The play is thus able to controled by PC. A TTL/USB converter is required. The interface mode of Player can be switched via the jumper. The player has been tested with micro SD card (1G). The SD card must be formatted at FAT format, not FAT32. If the green led is flashing all the time which means the SD card is not ready, either not supported or not correctly formatted. And string "\Plese check micro SD card\r\n" will be returned in UART mode. that directory contains files ending in "wma", "wav", "mid" or "mp3"
the blinking light signals not only problems reading the card, but it will also blink if there is no "\sound" directory or if there are no playable files in that directory. If the green led do not flash, it means the SD card is working properly. Put jumper to IIC mode. 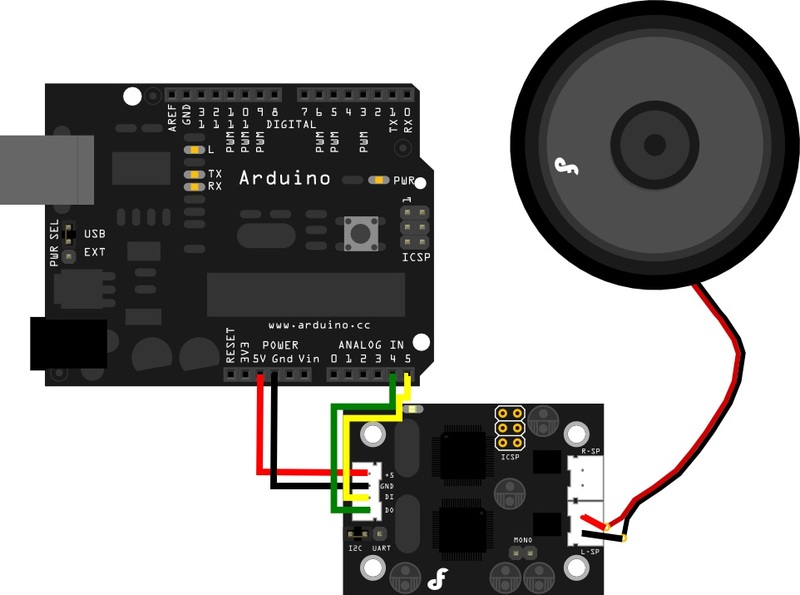 Connect the player to Arduino board via IIC. Burn the sample code to the board. Open the serial monitor of Arduino and send commands: p--pause s--continue n--next song u--previous song m--play song named"yes" Note that no return except "OK" is returned under IIC mode. Put jumper to IIC mode. Connect the player directly to computer via TTL-USB converter. 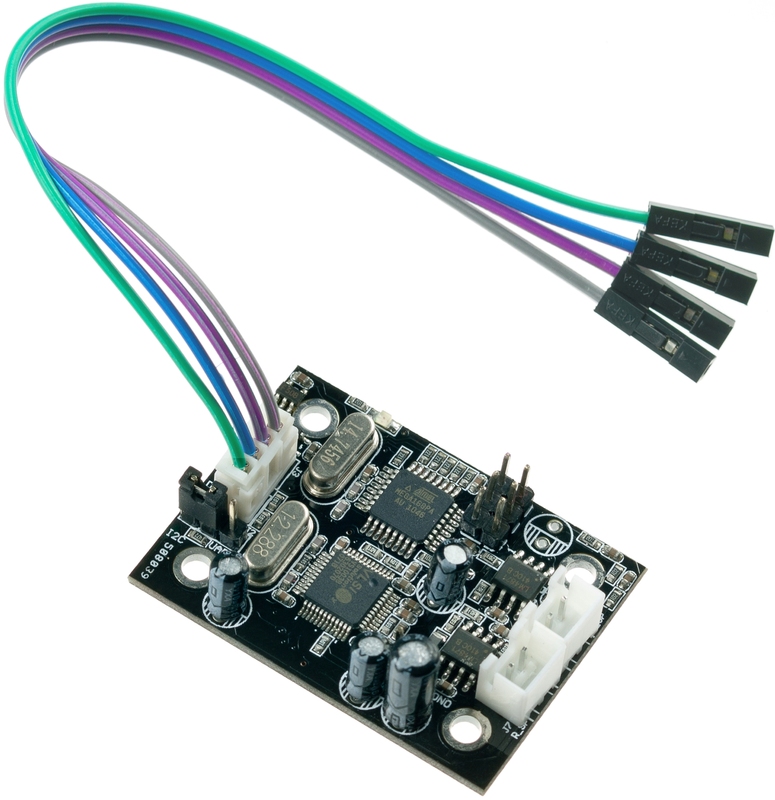 We can use any serial communication assistant to send commands, or use Arduino serial monitor. The baud of communication is 19200 if not changed. NOTE: You must choose the "Both NL & CR" choice in the Serial monitor(the drop-down menu beside the baudrate choice menu)。 After this step you command will be transmitted with "\r\n"(The new line command bytes). Warning: We provide the source code for those of you with advanced coding skills. It is provided as is and with no support. DOWNLOAD AND PLAY AT YOUR OWN RISK! 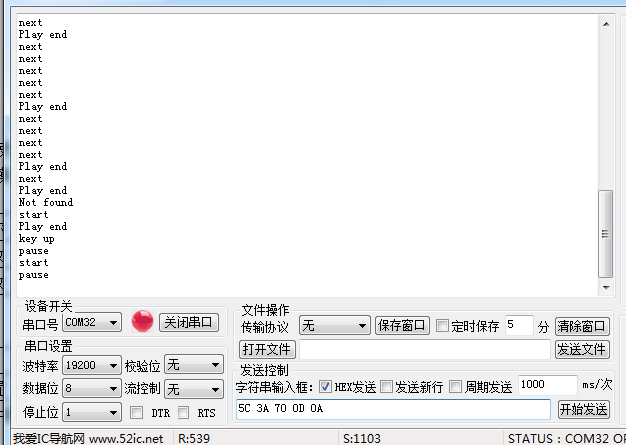 This is a link to a VB.Net GUI for the DFRduino player. 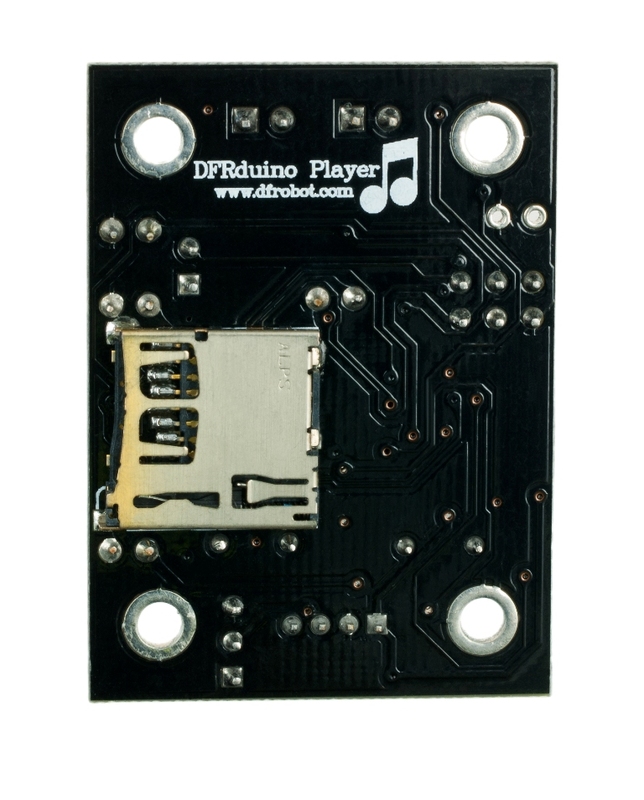 Get DFRduino player from DFRobot Store or DFRobot Distributor.